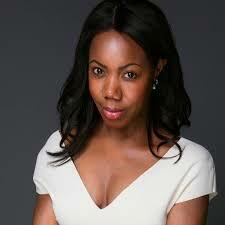 Charlene Laidley is the Founder of The FutureProof Foundation – a non-profit that empowers young women in the UK to become future business leaders, a Founding Member of The Women’s Charter for Business and an appointed UN Women Ambassador and Global Champion for Women’s Economic Empowerment. Born in Birmingham to hardworking parents of West Indian heritage Charlene began her career in fashion retail working for the high-street chain New Look. With a dream of working in brand communication in the luxury fashion industry, Charlene applied for a scholarship to study at the Fashion Institute of Technology in New York, and through hard work succeeded. Four years later, after instrumental roles with Burberry Group plc and Clarins Group, she became the first woman of colour to join the senior leadership team of Louis Vuitton Moët Hennessy (LVMH) – The world’s largest luxury goods conglomerate.